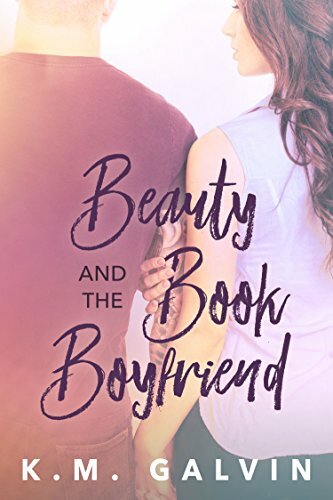 Beauty and the Book Boyfriend, K.M. Galvin and Interlude, FourMain 1, Kay Halliday. A book about and author and her books….interesting I thought. Well, it was…and it wasn’t. The idea was interesting, Bell and her friend/PA are on a tour promoting the final book in the series, and painfully self-conscious, publicity avoiding Bell has to dress up as the book heroine Mykala, while they bring in a model dressed as Max, along with his PA to accompany her. Road tour with people who’ve never met but are spending the next two months in very close proximity, could be fun, could be a disaster. I had issues with Bell, I get she’s self conscious but she doesn’t always act like it, appearing brash and over confident sometimes and at other times its causing her to have panic attacks. She’s kind of rude too, to Caleb. Fair enough at first meeting he was a jerk and deserved it, but she continues even while they’ve formed a friendship. I just wasn’t convinced of the enemies to freinds to lovers and maybe more in their story. I’m not really sure why though, I can’t quite work out what it is that stops me believing in them but something does. I think the real crux is that I wasn’t keen on any of the characters that much, I just didn’t really get a feel for them as real people, and that’s so important to me. It’ll be a perfect read for others of course, and I’m glad for them. We all look for different things and though this one wasn’t for me it was well written and I’d be happy to try another by this author. Stars: Two, sadly not one for me. 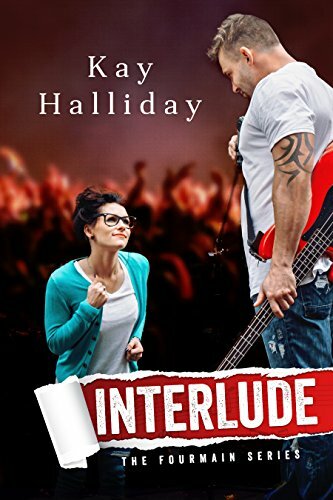 Interlude, FourMain 1, Kay Halliday. I love the Rock Star genre, but this is a story about rock stars, not one set in the active touring/songwriting/recording world. I can’t find any other books by Kay, so assume this is her debit novel and it’s very well done for a first novel. I did find though at times it dragged, usually I love long novels, but sometimes this one seemed as though they were hashing and rehashing things out so much I switched off. The same things came out in just slightly different way it felt. That’s my main criticism about the book, its an excellent story but could (IMO of course! not everyones) have been tightened up a bit, with some parts made clearer, strengthened. I’m thinking of things such as exactly why Kendrick and Eliza were apart, when its clear they’re both still deeply in love, he’s visiting her and the kids most days. There’s this undefinable “something” that’s caused it and I found it frustrating not knowing what the issue was. I felt I’d missed reading a section maybe and even skimmed back to check. that carries on throughout the book and I just couldn’t see why they were apart. Given its such a huge thing, a major plot in the story, I needed to know sooner, and when right near the end it finally comes out it felt wrong, very anti-climatic. Life just doesn’t work like that, we don’t know whats coming, how we’d react, we just have to roll with it. The first half was a little slow for me, and I did skim a few scenes…*blush* wanting to get to the meat of the story. The last third was so perfect though, really set up the scenes, provided lots of excitement and drama, right up my street. I’m hoping in later books this part gets continued, its a potentially great story-line, providing lots of potentially vituperative and nasty scenes. This book has lots of good people in, and the label owner, a real unpleasant greedy controlling man, isn’t actually in this novel, we just hear about him. I’d like to see some nasties – him or some like him – in later books to provide a balance to all the good characters in this one. Overall an excellent first book and I look forward to more. Stars: Four, a really interesting read, with lots of emotion and drama.